It's Getting Crowded Now...and Morneau! 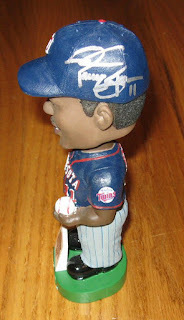 I've spent most of the evening scanning in all my TwinsFest items, but I haven't updated my web site yet. That will take a few more evenings to complete, then I'll post them here. Tonight I'll start posting my older son's items. 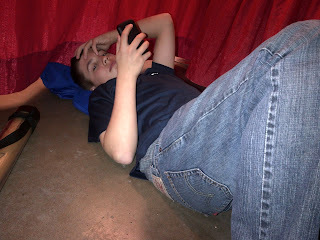 He spent Friday night going through lines with my wife while I was with my younger son. He and my wife were interviewed by the local Fox News crew and appeared on the news briefly that night, with my wife describing how we organize for the event and where we display everything. 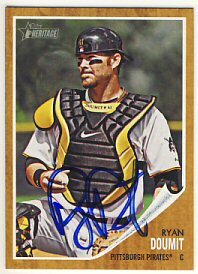 My wife doesn't collect autographs, so I prepare a binder for her to get me some autographs as she takes my son around. 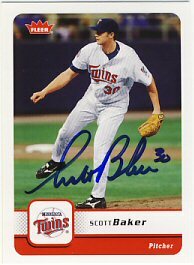 Anyway, the first station was Nick Blackburn, Scott Baker, Alexi Casilla and Matt Capps. 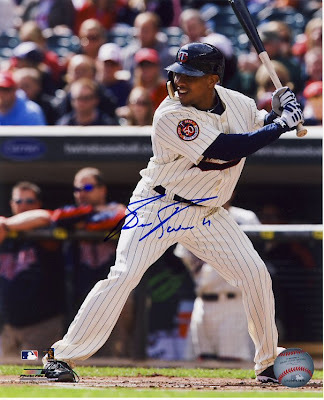 My son had them all sign cards except Casilla, who he had sign a game-used bat that he had previously purchased at the Twins Pro Shop. 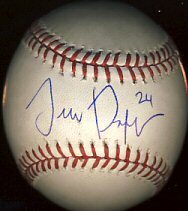 Next, they went to a line with Drew Butera and Denard Span. Alex Burnett was supposed to be there but didn't make it for some reason. 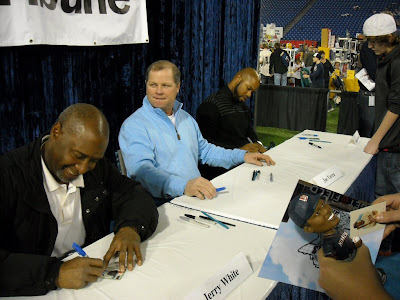 Next up was Shannon Stewart, Jacque Jones, Jerry White and Joe Vavra. 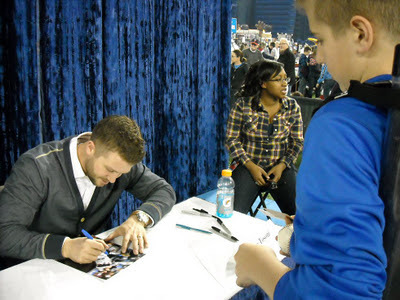 We never have anything for Vavra to sign, we'll have to look harder next year. 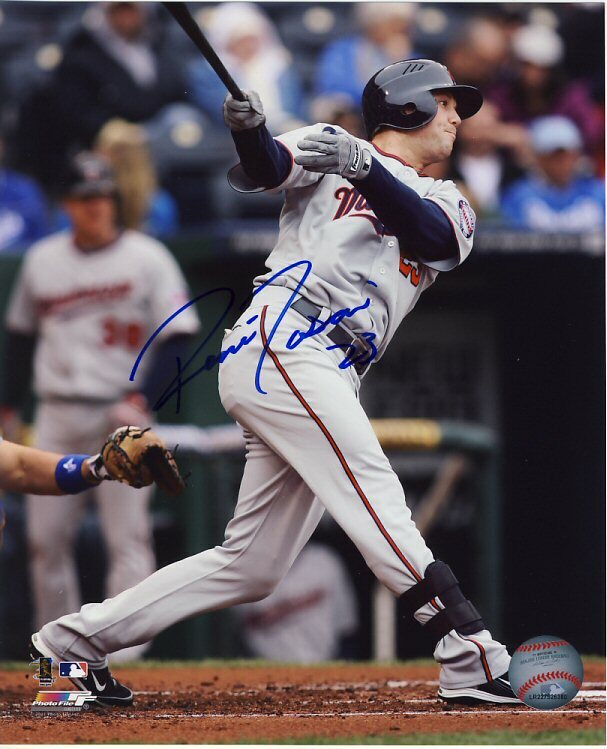 Johnny had him sign a Target Field photo. 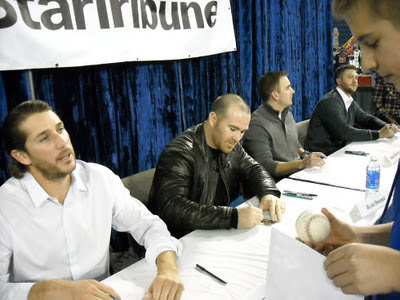 They were also able to get through another line during the third session: Brian Duensing, Ryan Doumit, Trevor Plouffe and Rene Tosoni. 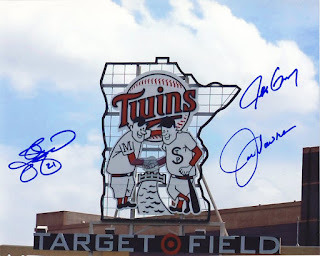 During the last game of the 2011 season, we had seats right in back of the Twins dugout. In the middle of the first inning, Plouffe tossed Johnny a ball that he caught as the last out as he headed back to the dug out. Johnny had him sign that ball for him. 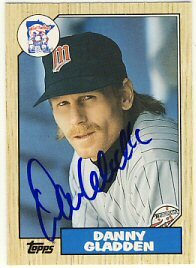 Finally, the were the VERY last people to get through the last line with Dan Gladden, Kent Hrbek and Brad Radke. The people actually tried to cut off the line right in front of them, but somehow they managed to talk them in to letting them through. 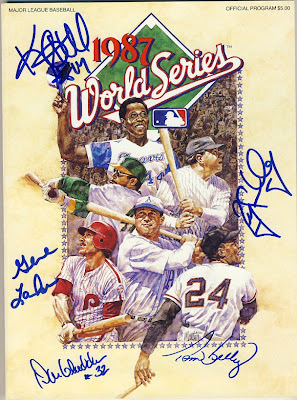 Johnny had Hrbek sign a 1987 World Series program already signed by Roy Smalley, Tom Kelly, Gene Larkin and Gladden. It was a pretty busy night! Tomorrow I'll post at least some of his autographs from Saturday. I spent most of the day today scanning in both my son's items from TwinsFest. I got all of their items done, and barely started on mine. My younger son only went Friday night. He doesn't care for the crowds, and he's a bit more practical than me and my older son in that he knows he doesn't have any more room to store his collection. I spent Friday night with him while my wife went with my older son. 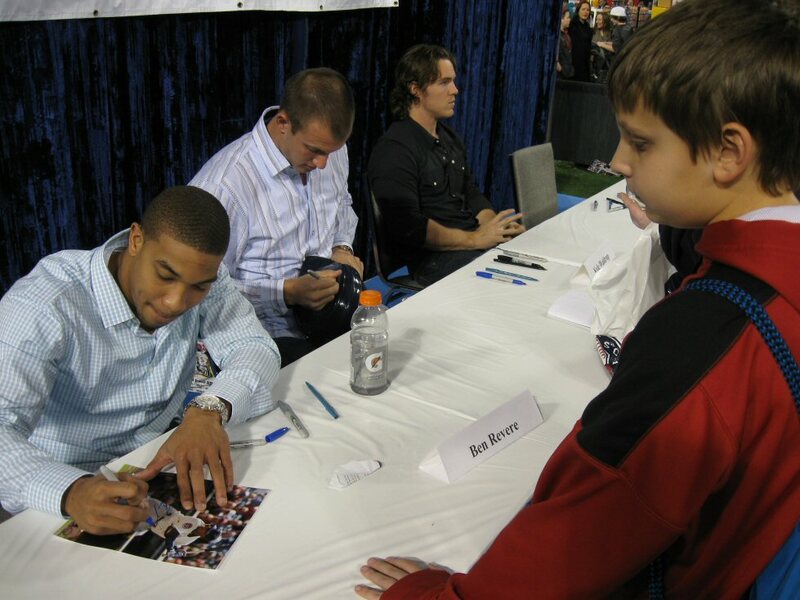 First, we went to a line with Joe Benson, Ben Revere and Kyle Waldrop. Scott Diamond was supposed to be there but didn't show up until later in the evening. 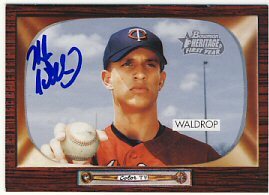 My son had Benson sign a card, Revere sign a picture, and Waldrop sign a card. We didn't go to a line in the second session, but in the third session we made it through two line. In the first, we saw Shannon Stewart, Jacque Jones, Jerry White and Joe Vavra. 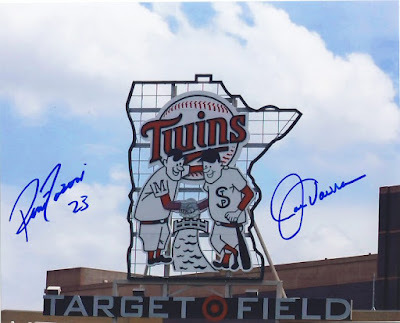 The second line we went through was Brian Duensing, Ryan Doumit, Trevor Plouffe and Rene Tosoni (who signed the Target Field picture that Vavra signed above). In the last session, we saw newcomers Josh Willingham and Jason Marquis. 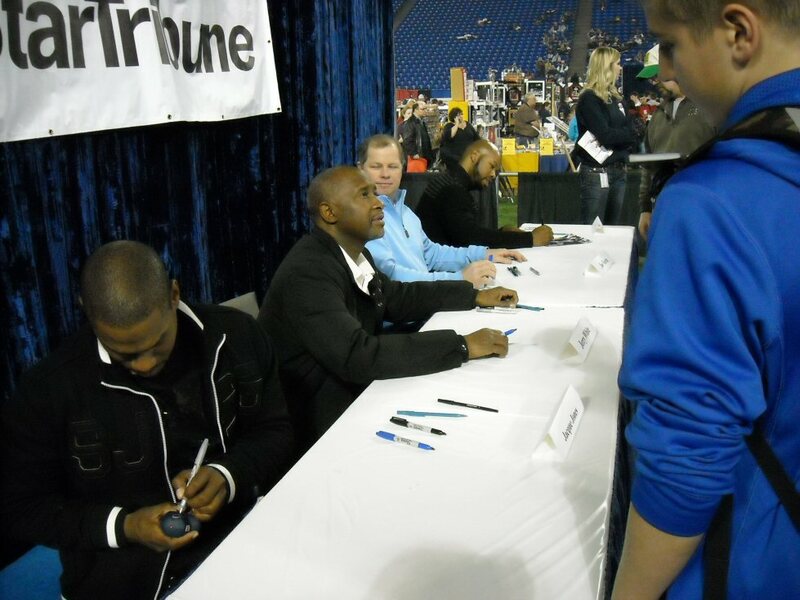 After this last line, I went back down to the Dome floor to hit another line while David went through the Willingham and Marquis line with his older brother, who had been waiting in other line but had my wife keep his spot while he went through this line quickly. Not too bad for just one evening. We could have done more, but this was all he was interested in. 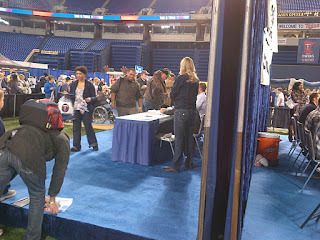 We had time to look around the card show for a while as well. He was disappointed there were no spinning wheels or dice games. They must have banned those this year. He didn't find anything he wanted to buy at the show. Tomorrow I'll start posting my older son's items. He had quite a bit more as he was there all three days. Hopefully I can get more of my items scanned in as well. We're home now. After we got Denard Span to sign our bats, we went down to the Dome floor and Johnny got Frank Quilici to sign a picture, as well as Swarzak on a picture, Jeff Gray and someone else I can't remember right now (I'm very tired). Then we headed back upstairs and got in line for Morris, Tapani and Tom Kelly. It was close, but we got through that line at the very end. Tom Kelly insisted that silver pen on the bobblehead's blue cap wouldn't work, so I said to sign it however he thought it would look best. 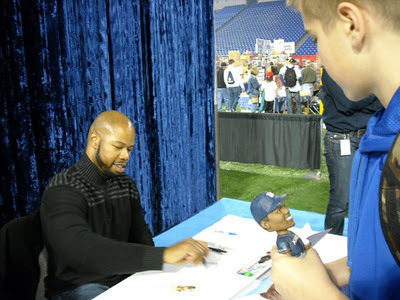 He picked up a black pen and I assumed he was going to sign the base or the jersey, but then signed the brim of the blue cap in black sharpie. You can hardly see it. Oh well. As usual, when we got home we put all of our autographs from the weekend on the dining room table. We couldn't get a consistent count, but we got somewhere between 115 and 120 autographs, including 7 bats (4 were game used) and 9 bobbleheads. 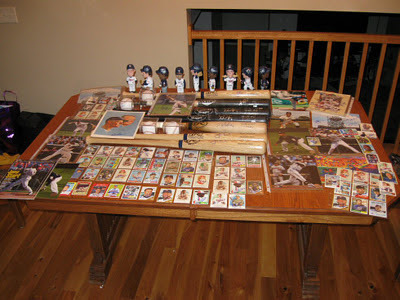 I'll spend most of the day tomorrow photographing and scanning all these items to post to our personal web sites, then I'll post about all the items over the next several days (or weeks). I ran into a few acquaintances that I've met via my blog or Sportscollectors.net including Zane, Randy and Joel. Good to see you guys! It's not even 7:00, but I'm exhausted and heading to bed. My son ran through the Revere/Carroll line a couple of times while we were waiting. 20 more minutes until Span starts. Then it's off to see Kelly, Tapani and Morris. Of course, there' still two hours before he starts signing. I'm passing time trying to figure out why we can't install an app on my son's phone while he went off to buy some cookies. 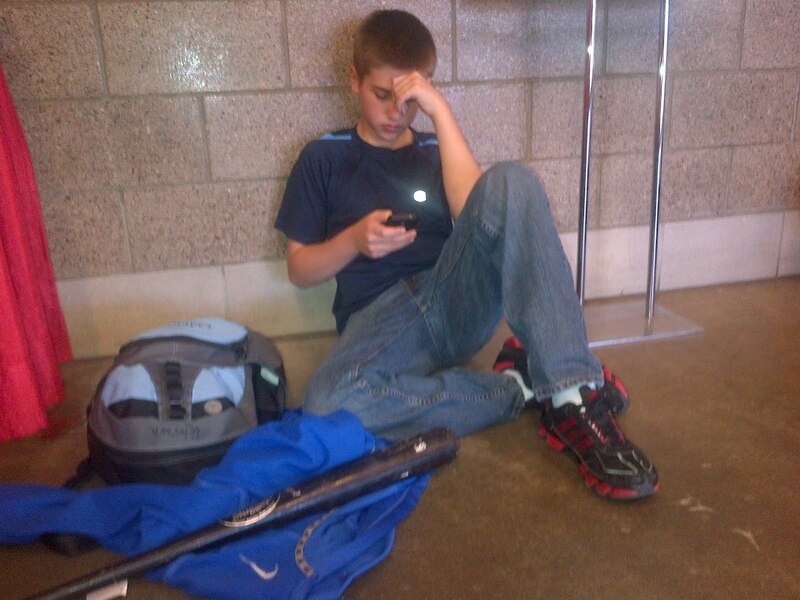 We didn't get picked for Mauer's line today. 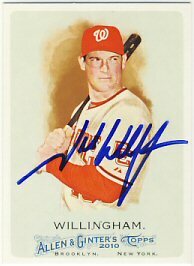 We went back down to the card show and I found a handful of cards to send out ttm. Then we wandered into the Twin's Pro Shop area and found some reasonably priced game used Denard Span bats. We each bought one and even though he doesn't sign until the last session, we're going to go there now and try to be first in line so we can get through at least two. 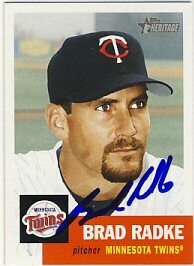 I had Carew sign a 1972 Topps In Action for my set, and Radke signed a ball. Now we're waiting in a huge Mauer line until we find out what color wristband they call. 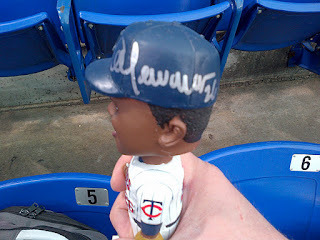 I was able to run right through a line with Al Newman who signed another 91 bobblehead for me. We got here at about 8:15 again today but it's much colder. After getting our wristbands, we were only about 50 people in front of us in the line to get in. 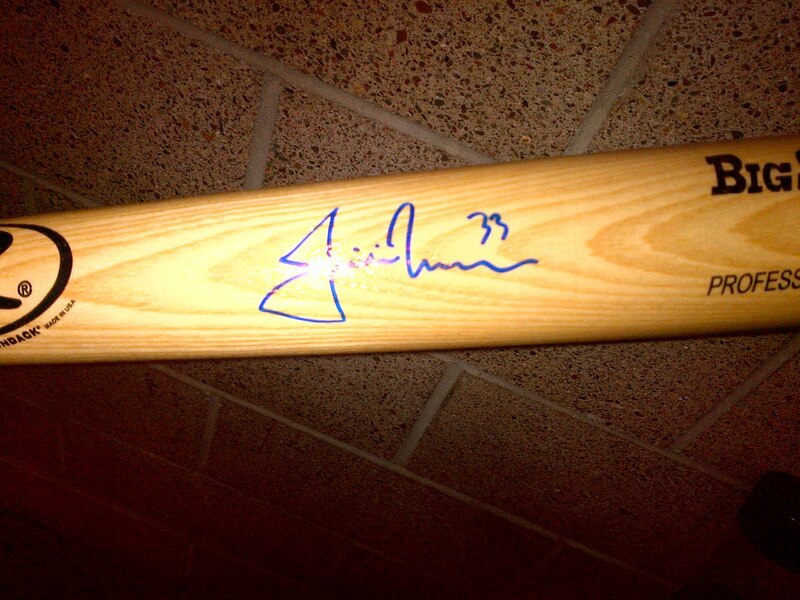 Luckily, I got the wristband color that was called for Morneau, so I'm getting him to sign a bat. We're waiting for Willingham and Doumit, then we're going home. We're both exhausted. 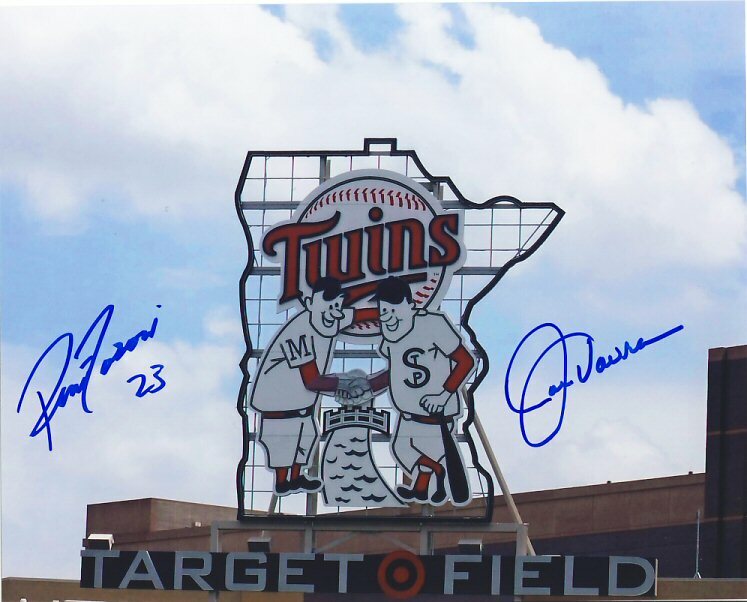 Tomorrow we're hoping for Mauer and Morneau again, but other than that, we don't have a lot planned. I have a few bobbleheads I'd like to get signed and 2 of them are in the last session of the day. Good thing I took a vacation day Monday. 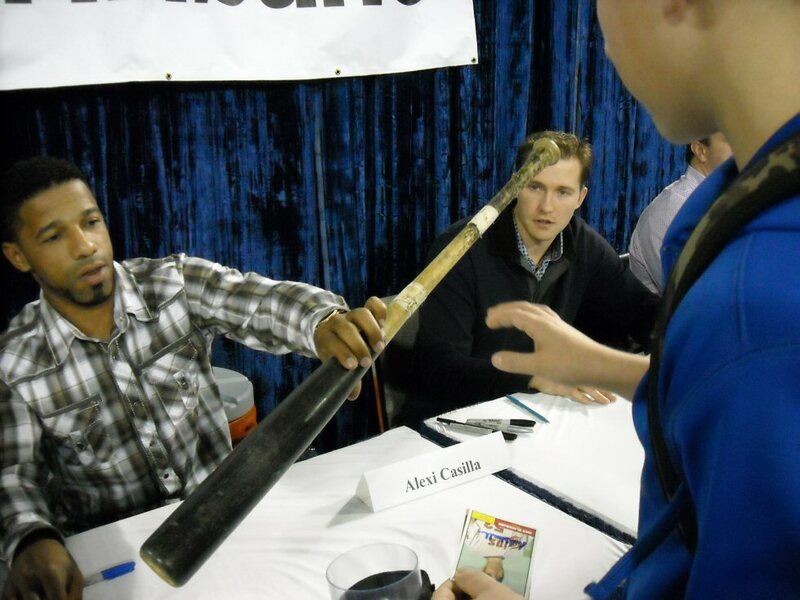 We got through Span's line and then my son got Duensing and Casilla. Now we're looking through the card show again before the last session. We're in line for Span. Almost to the front. The Pavano and Jason Marquis line was empty when we checked it out so we went through it very quickly. 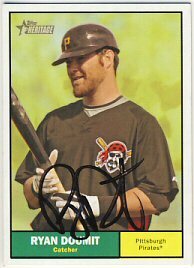 Then, I went through again because I had another card I wanted Pavano on. 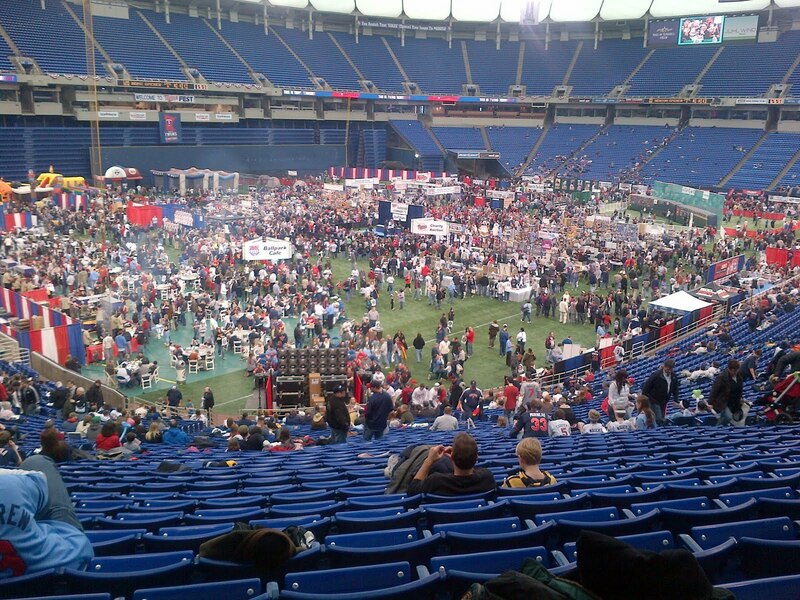 We've been walking around looking at the card show again and are taking another break in the stands. We didn't get to the Carew line, it was extremely long with just a half hour left. I don't know why people bother to stand in a line they have absolutely no chance of getting through. My son found a Valencia signed picture he like so he's off to go buy it. The next autograph session is a little weak. 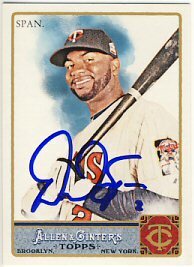 Denard Span is signing, but he's $15 so I think we'll pass. In the last session, we will probably get Willingham and Doumit again, then head home for some much needed supper and sleep. The food here is awful. It's so crowded now, and both the Mauer and Morneau lines are over so the other lines are even longer. We got Perkins and Valencia, who were chatting with each other and not even acknowledging the fans they were signing for. I'm not sure we'll get in a line this next session. Possibly Pavano and Marquis if the line isn't too bad. 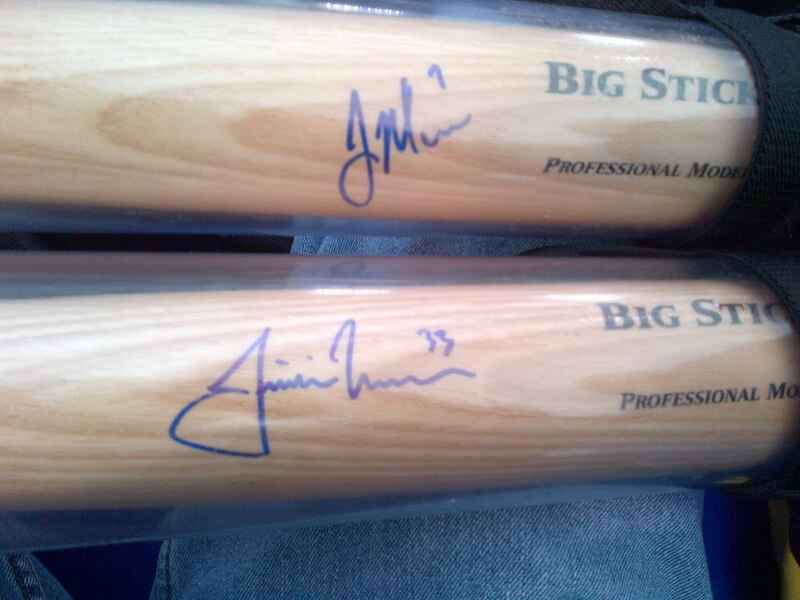 My son got Mauer on a bat for me and I got through the Carroll, Manship, Parmalee, Hendrik line. 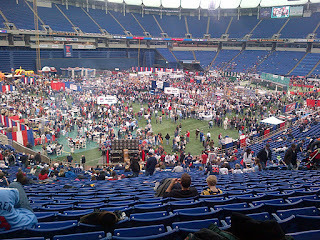 We walked around a bit and looked at the card show but it' getting crowded. I went over to the Fergie Jenkins Foundation booth and got J.R. Richard to finish off his 3-player rookie card from 1972 and Fergie on his 72 Topps as well. Now I'm in a HUGE line for Valencia and Perkins. Now that the wristbands are in use, the non-Mauer and Morneau lines are huge! 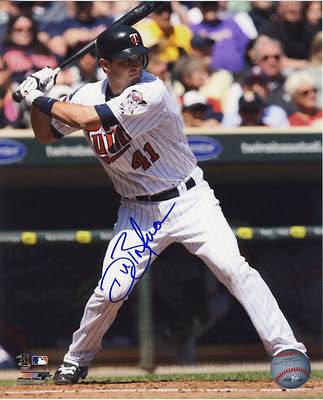 While my son waits for Mauer, I've already got Laudner, Goltz, Berenguer and Stigman. 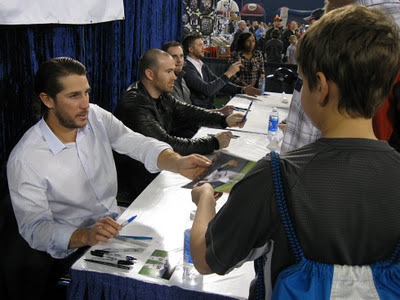 Now I'm in line for Carroll, Manship, Parmalee and Hendriks. 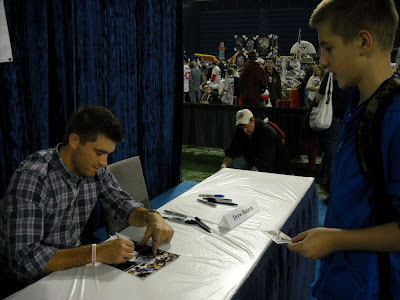 My son's wristband gets him a Mauer autograph. He's getting a bat signed for me. We didn't sleep well last night since both my son and I are fighting head colds. We arrived at about 8:15 and already have our wristbands for Mauer and Morneau. Hopefully we'll get at least one of them. 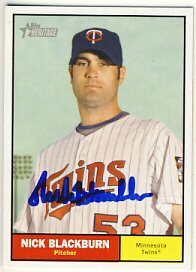 We got through the Willingham and Marquis line so quickly that I had time to run back down the Dome floor to get Scott Diamond, Gene Larkin (on a '91 bobblehead) Scott Erickson on a Metrodome ball, and Rick Stelmaszek on a card. 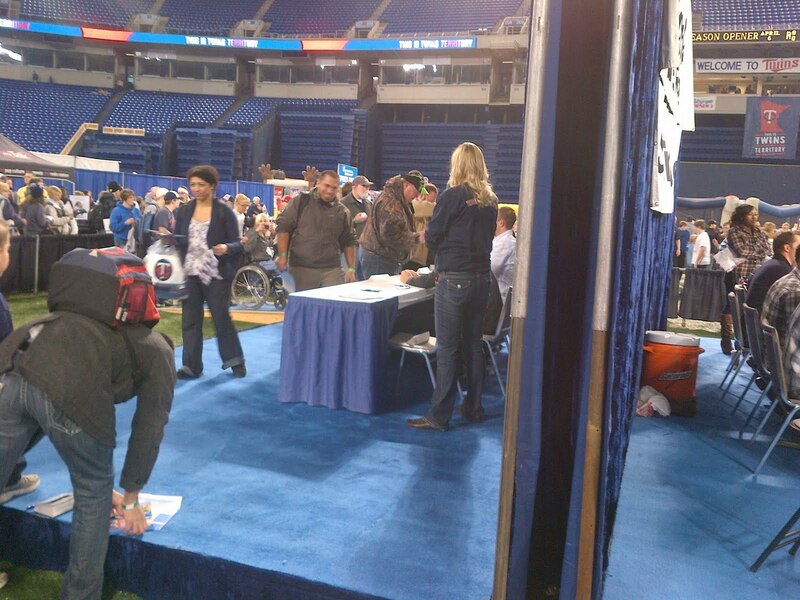 My wife and older son are still in line for Hrbek, Gladden and Radke. They may not make it through. Overall a really good night. Now off to home to get some sleep. 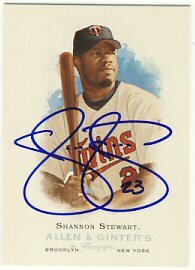 Shortly after my last post, Stewart showed up. We got through that line with enough time left to go through a line with Plouffe, Dumait, Duensing and Tosoni. Now we're in the last line of the night: Josh Willingham and Jason Marquis. My son is eating a couple of hot dogs since we haven't taken the time to eat yet. The line hasn't started yet even though it's 10 minutes after the start time because Shannon Stewart isn't here yet. It's a long line, but I think we'll make it without a problem. He asked me if I wanted it personalized, and I said, "No, that's okay", so he didn't! 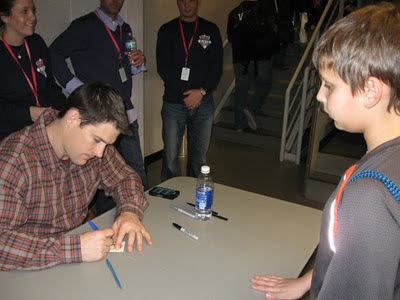 I told him my son was also a pitcher, and Bert asked him how old he was. 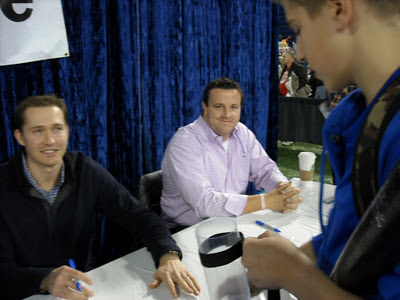 When my son told Bert he was 12, Bert told him he has 2 more years before he can start throwing a curve ball, and if he catches him throwing one sooner, he'll be in big trouble. It was a fun experience, well worth the hour and 15 minute wait. I'm beginning to wonder if we'll make it. There's about 50 minutes left. But I think I'll get him anyway. My wife and other son's line hasn't started moving. Bert must have started early. 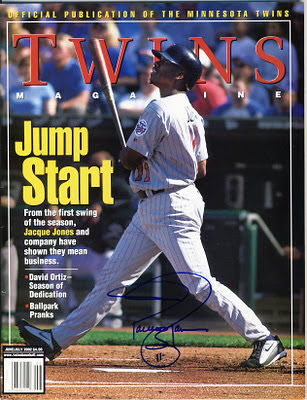 Now we're waiting in line for Blyleven. 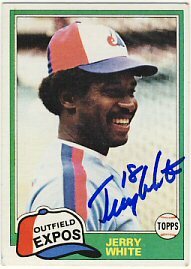 I need him for my 1972 Topps set. Waiting for Revere, Waldrop and Joe Benson. We've spent a few minutes this morning double-checking our binders full of cards and pictures to make sure we've got everything we need for tonight. Our backpacks are packed and we're ready to go. We plan to arrive right about the time the doors open since we don't want to have to wait outside. Our plans for tonight aren't too ambitious so I don't expect any disappointments. There really aren't any "must-haves" this year so we aren't stressing too much about whether we can get through certain lines or not. I'll make a few posts throughout the evening to update our progress and luck. I added another 1958 Topps to my set collection. 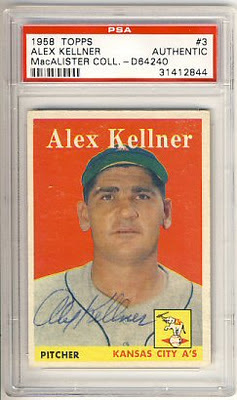 I purchased an Alex Kellner card from Mickey's. It was a decent price, not much more than the price of getting it authenticated. 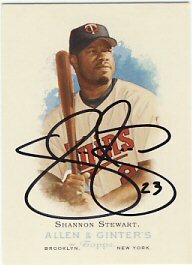 It's been a while since I've added a card to this set so I was looking for something to buy that would keep this collection moving. 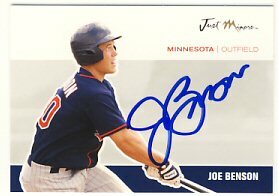 This makes 361 signed cards from this set, out of 494 cards. 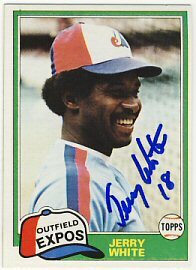 I think there are only two cards left of living players: Willie Mays and Sandy Koufax. 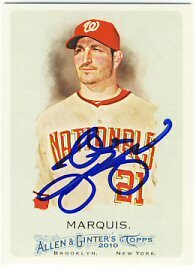 I've had the opportunity to send in a card for a Mays signing but haven't been willing to pay the $250+ he asks for. 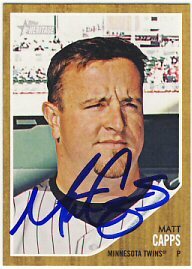 I'll keep my eyes open for a card already authenticated. 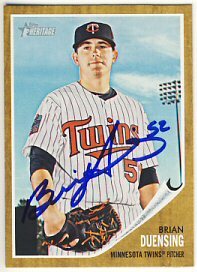 I've seen his signature isn't looking too card lately either. 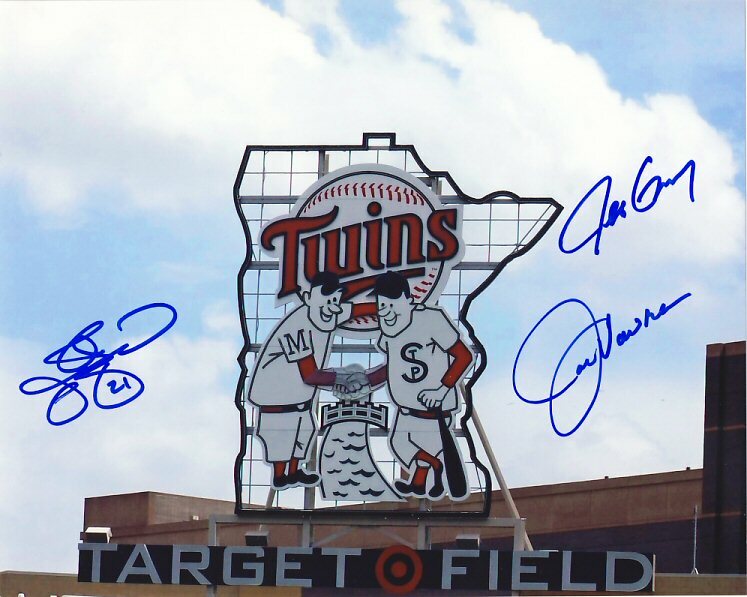 We're pretty well set for TwinsFest. Our binders are all organized and I've laid out the balls, bobbleheads and bats we plan to take. Anyone else going?